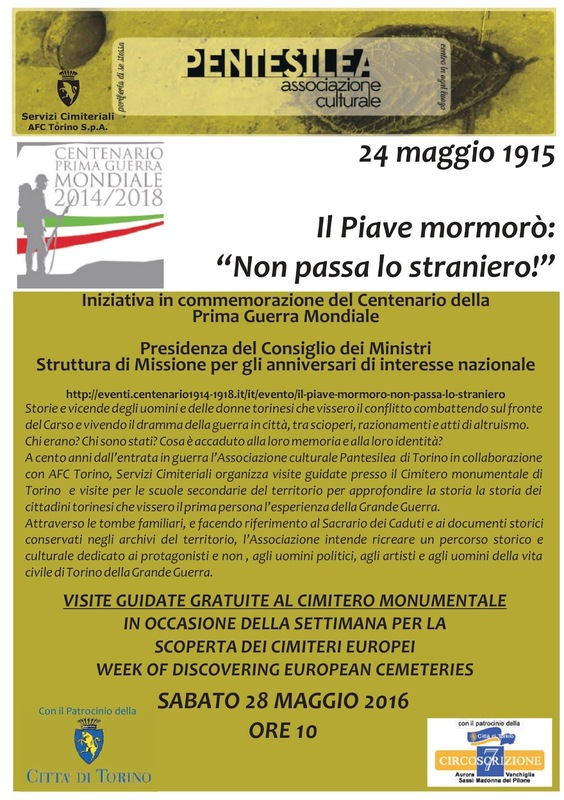 As a part of the Week of Discovering European Cemeteries 2016, the Monumental Cemetery of Turin invites you experience World war 1 memories. 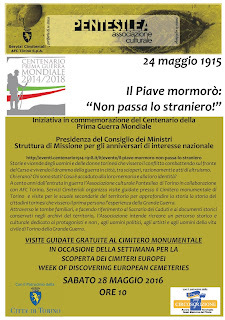 In the Monumental Cemetery of Turin you can relive the stories of the families who lived in the years of the First World War. Celebrities or simple artisans with their funerary sculpture tell us important memories. The Presidency of the Council of Ministers has granted the use of the official logo for the promotion of cultural visit dedicated to the centenary of the First World War. Use the QR code to hear the famous song of the Piave.